Our journey through The Yarra Valley/Yarra Ranges begins at Stones of The Yarra Valley. If you have not heard of this establishment consider this a “You’re welcome”. As soon as we entered the precinct, from St Hubert’s Road, we knew that we were in for a treat. There is nothing but perfection to behold when it comes to this property. One of which is the welcoming driveway flanked by row upon row of grape vines and opening up to expose what can only be described as an ‘Ahhhhh’ moment. Directly in front of us was a beautifully quaint Chapel, to it’s left The Stables (originally serving as the stable-hand quarters in the late 1800’s) and to its right The Barn (a beautiful building boasting floor to ceiling windows, framing the magnificent view of the property for its diners). simple but perfectly on point (can you tell that I enjoy my renovating shows? ), from the gates used as the wardrobe doors to the vanity unit in the bathrooms. They have thought of everything. The foyer is not only where you check-in but also a place to relax and unwind in front of a burning fire – perfect for our winter escape. We were there to experience as much of Stones of the Yarra Valley as we possibly could. With the Stay and Dine experience we had this covered. 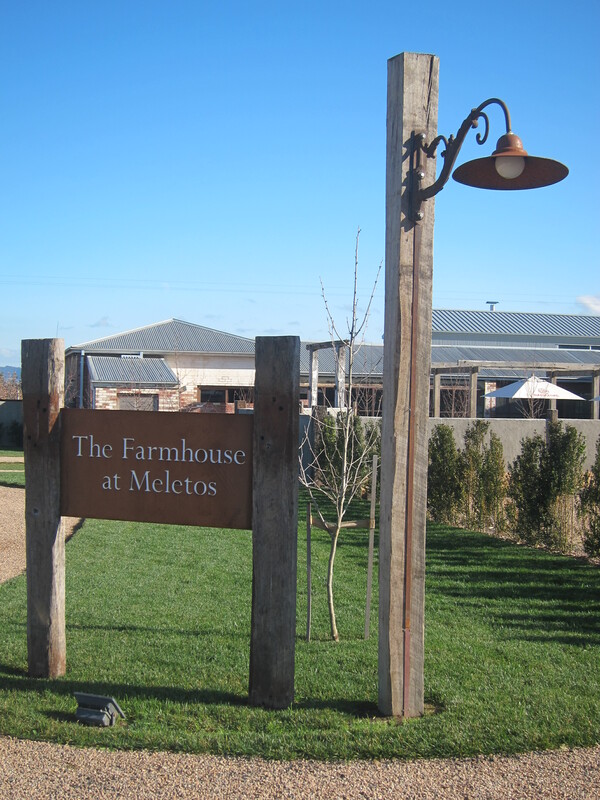 The package includes one night accommodation at The Farmhouse, a beautiful 5 course dinner at The Stables (more information on this in tomorrows post) and breakfast the following morning at Meletos. I have to say that I was thrilled with every aspect of this package and would highly recommend it to anyone who needs a night away from the kids, city or are tourists looking for a unique experience. Tomorrow, we dine at Stones, will you join us? What Am I Doing and Why Am I Doing It?